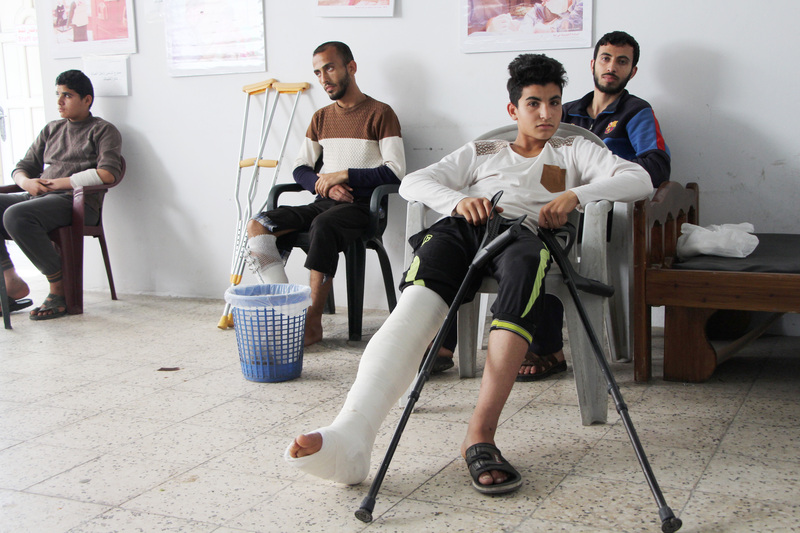 Since 1st of April, MSF teams in Gaza have provided post-operative care to more than 500 people injured by gunshots during the March of Return demonstrations. The number of patients treated in our clinics over the last three weeks is more than the number we treated throughout all of 2014, when Israel’s military Operation Protective Edge was launched over the Gaza strip. MSF medical staff report receiving patients with devastating injuries of an unusual severity, which are extremely complex to treat. The injuries sustained by patients will leave most with serious long-term physical disabilities. Medical teams in Gaza's hospitals prepare to face a possible new influx of wounded this Friday in the latest of the March of Return demonstrations. MSF surgeons in Gaza report devastating gunshot wounds among hundreds of people injured during the protests of the recent weeks. The huge majority of patients – mainly young men, but also some women and children – have unusually severe wounds to the lower extremities. MSF medical teams note the injuries include an extreme level of destruction to bones and soft tissue, and large exit wounds that can be the size of a fist. Managing these injuries is very difficult. Apart from regular nursing care, patients will often need additional surgery, and the very long treatment process of physiotherapy and rehabilitation. A lot of patients will keep functional deficiencies for the rest of their life. 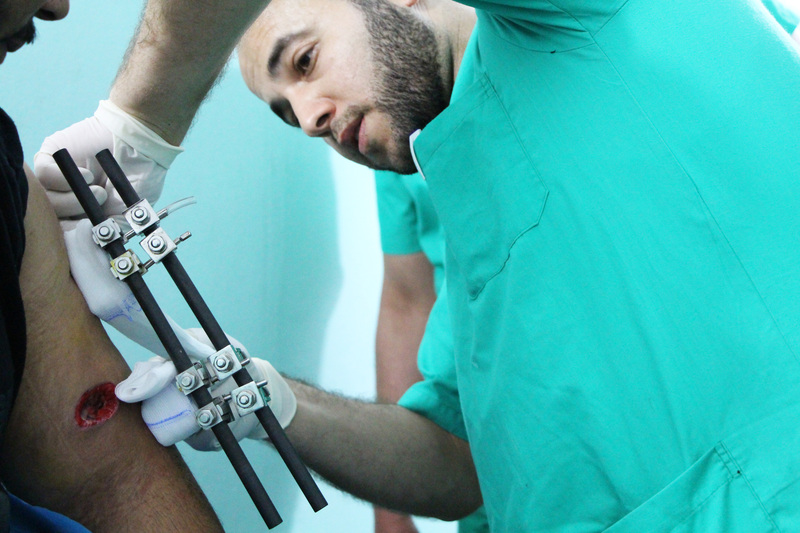 Some patients may yet need amputation if not provided with sufficient care in Gaza and if they don’t manage to get the necessary authorisation to be treated outside of the strip. To face this massive influx of patients, MSF has reinforced its capacities, increased the number of beds in its post-operative clinics, and recruited and trained additional medical staff. A fourth clinic will open soon in the Middle-Area region of Gaza to provide patients with the necessary specialised care. In response to the crisis, MSF has also deployed a team of surgeons (including vascular, orthopaedic and reconstructive surgeons) and anaesthetists to operate – or re-operate - on the more severe cases. This team currently works side-by-side with Palestinian medical staff in Al-Shifa and Al-Aqsa public hospitals.